Invest Openly: The Season Of Flooding Annual Reports And Exercising War Chest? The Season Of Flooding Annual Reports And Exercising War Chest? For Value Investors, these two months (April and Month) will be interesting one! First, there will be tons and tons of Annual Reports to read and digest, second there is this famous trading adage of "Sell in May and go away" we need to "content" with (means time to dish out the war chest!?). 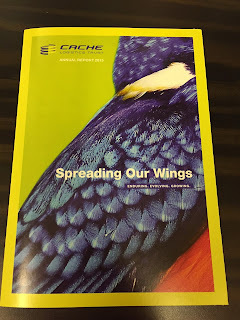 I've just received the Cache Logistic Trust Annual Report in a small packet. I like the slogan "Spreading Our Wings". 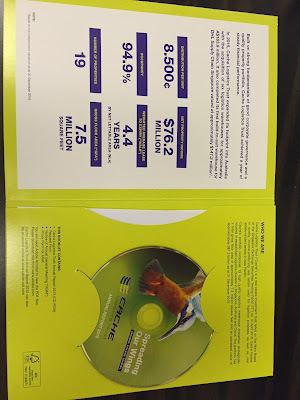 It is environmental friendly as it report is in the form of CD-ROM. Yes, I am aware that at the current phase of technology, PC or Laptop with CD-ROM drive might not be that common anymore (for one, my laptop do not come with CD-ROM). In any case, I like the idea as it is one of the way to protect our nature (yes, I am talking about trees here) and it is more convenient to read it online (or in electronic version) anyway. What about you? Do you like to read Annual Reports in hardcopy or in e version? 1. 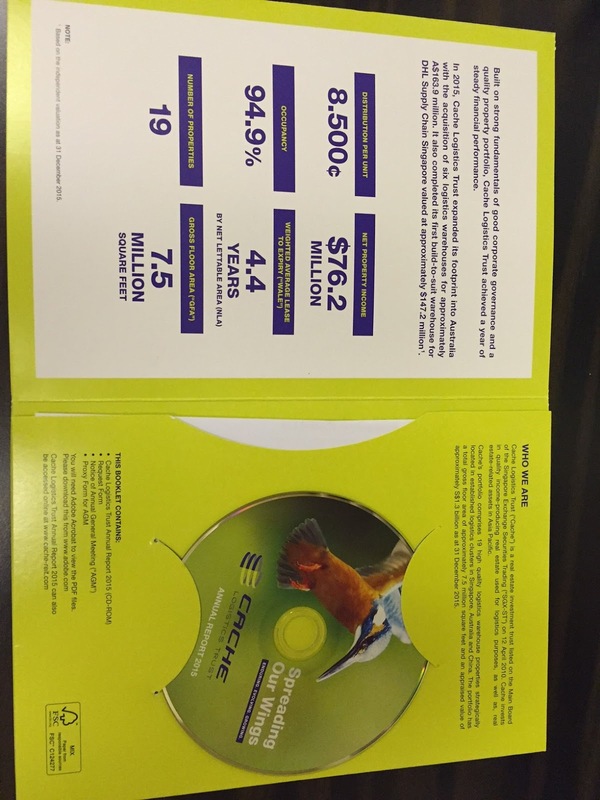 Croesus Retail Trust (Target entry price : $0.75 to $0.77). Click here to check out my take on this counter. 2. Hock Lian Seng (Target entry price : $0.35 to $0.37). Click here to check out my take on this counter.